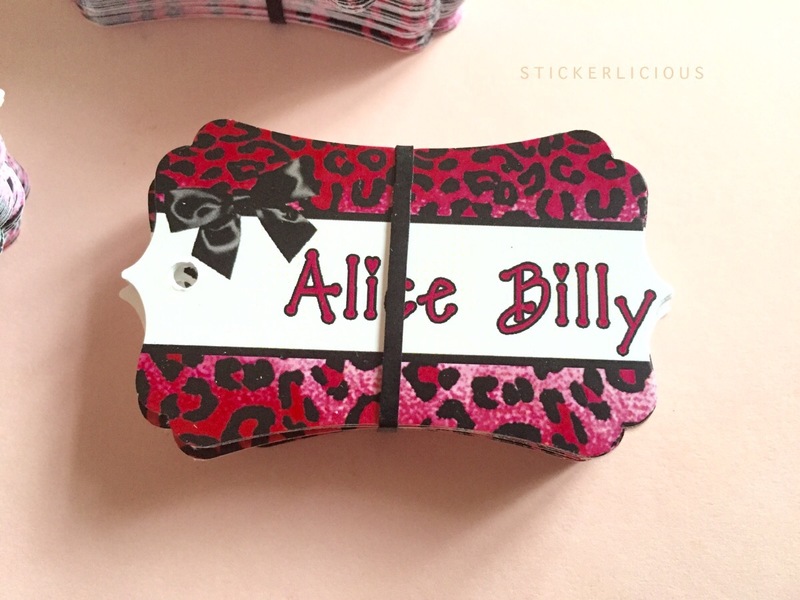 Pink Leopard Bow Hang Tags have a bright and wild design yet sweet touch with a cute satin bow. What a match! Tag measures 2.5″ by 1.4″. 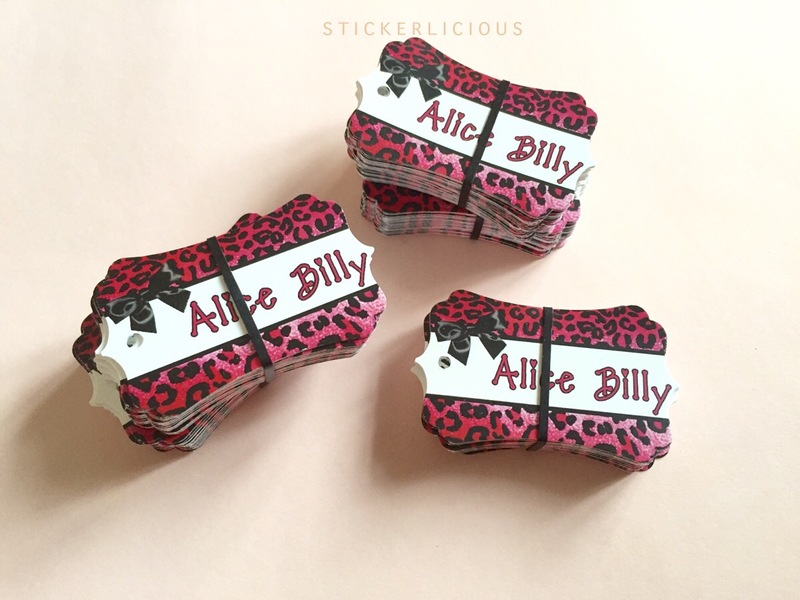 If leopard is not your spots you can change it to other animal prints!